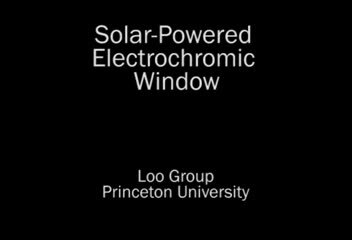 "Using near-UV light to power these windows means that the solar cells can be transparent and occupy the same footprint of the window without competing for the same spectral range or imposing aesthetic and design constraints," Loo added. "Typical solar cells made of silicon are black because they absorb all visible light and some infrared heat - so those would be unsuitable for this application." In the paper published in Nature Energy, the researchers described how they used organic semiconductors—contorted hexabenzocoronene (cHBC) derivatives—for constructing the solar cells. The researchers chose the material because its chemical structure could be modified to absorb a narrow range of wavelengths—in this case, near-UV light. To construct the solar cell, the semiconductor molecules are deposited as thin films on glass with the same production methods used by organic light-emitting diode manufacturers. When the solar cell is operational, sunlight excites the cHBC semiconductors to produce electricity. Nicholas Davy, a doctoral student in the chemical and biological engineering department and the paper's lead author, said other researchers have already developed transparent solar cells, but those target infrared energy. However, infrared energy carries heat, so using it to generate electricity can conflict with a smart window's function of controlling the flow of heat in or out of a building. 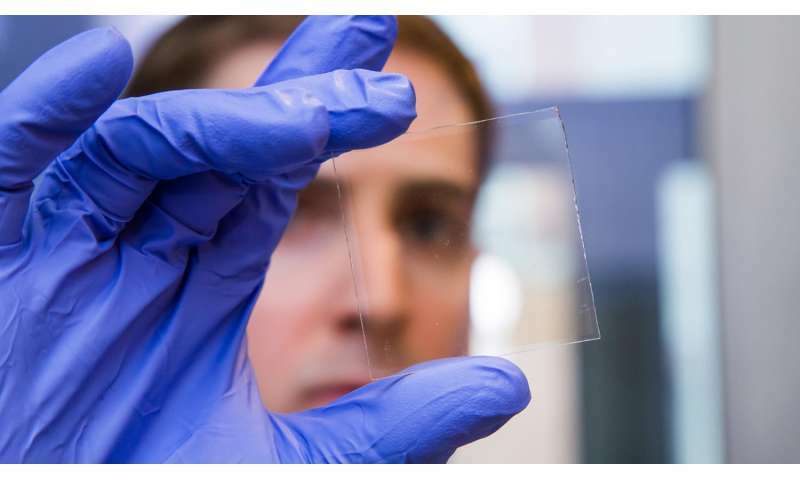 Transparent near-UV solar cells, on the other hand, don't generate as much power as the infrared version, but don't impede the transmission of infrared radiation, so they complement the smart window's task. Davy said that the Princeton team's aim is to create a flexible version of the solar-powered smart window system that can be applied to existing windows via lamination. "Someone in their house or apartment could take these wireless smart window laminates - which could have a sticky backing that is peeled off - and install them on the interior of their windows," said Davy. "Then you could control the sunlight passing into your home using an app on your phone, thereby instantly improving energy efficiency, comfort, and privacy." "It does not generate enough power for a car, but it can provide auxiliary power for smaller devices, for example, a fan to cool the car while it's parked in the hot sun," Loo said.